Virus will present the Wow inks at FESPA Global Print Expo 2018. The WOW-inks are used for ‘wet on wet’ printings. 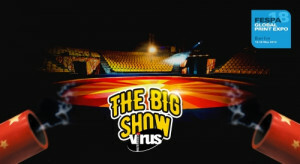 Virus will demonstrate the range of Wow inks in action during ‘The great Virus Show’. The inks are developed and certified to print multicolor subjects ‘wet on wet’ with advantages in terms of energy consumption reduction and increment of the hourly production. Wow inks represent the market reference point for the ‘wet on wet’ ecological printing. Virus ensures very bright colors, opacity and elasticity together with a very soft hand and high washing resistance. The WOW technology has a simple application and gives good printing results even on huge production.